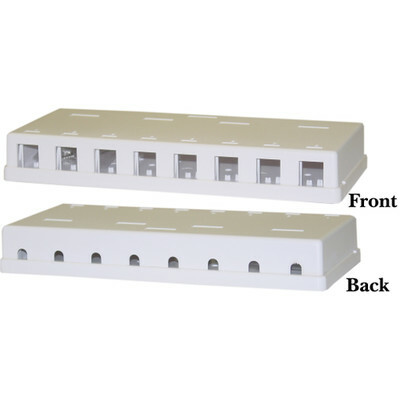 This white surface mount box is designed to house up to 8 keystones of any type. Keystones come in many different varieties, from network jacks to HDMI couplers, BNC couplers and beyond. Networking, Home Theater and security/surveillance is all covered by this simple to install and highly dynamic surface mount box. Now your installation can a professional appearance and structure. 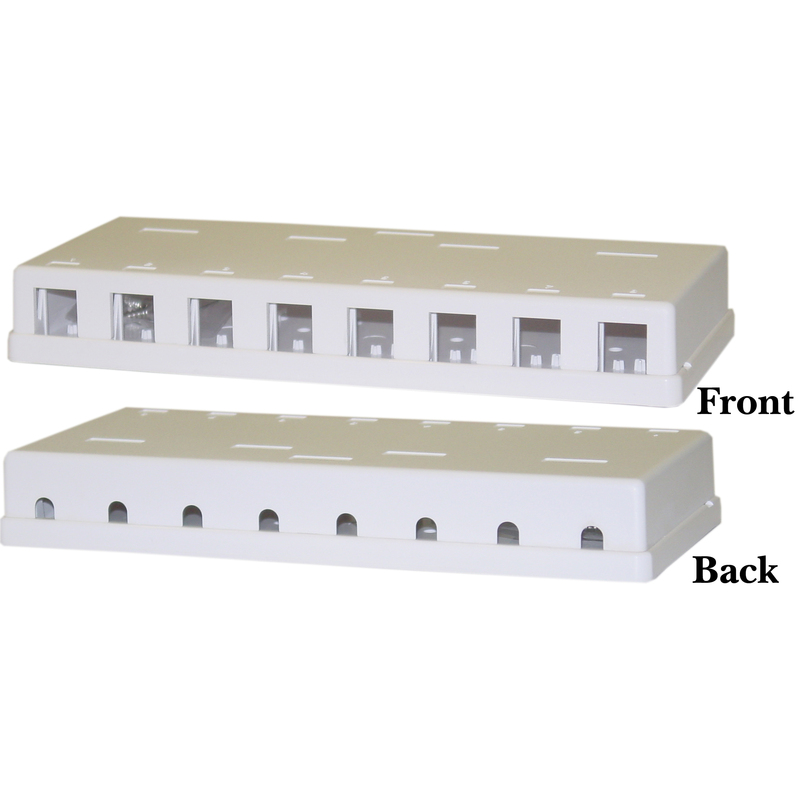 We used this product where there are several network devices in a tight space and wall plates were not an option. Product has a sleek look and it is easy to install.